An entry-level priced passive loudspeaker with pro features. The 12" Gemini GT-1204 PA Speaker-like its siblings in the GT speaker series-matches nicely with any Gemini amp to create an affordable PA package. The GT-1204 speaker offers a trapezoid speaker design with 100W RMS power handling and 400W peak, a 12" woofer, and an 11" x 5" double piezo horn. The GT-1204 provides great sound and great power handling without breaking the bank. It also features banana connectors as well as dual 1/4" input jacks for easy connection. 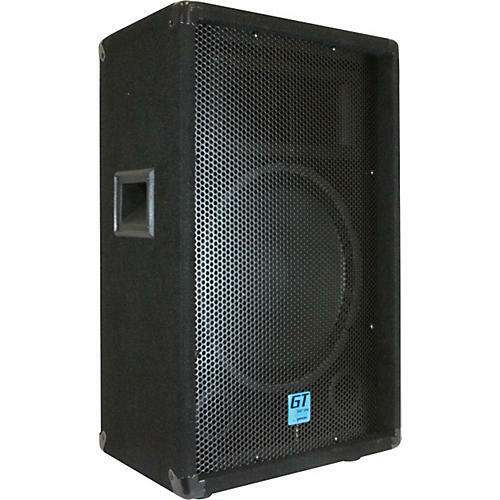 With banana connectors as well as dual 1/4" input jacks for easy connection, the Gemini GT-1204 is a cost-effective PA speaker in a sturdy wood cabinet. This is a cost-effective solution for getting heard without going broke. Order today!